The Kunsthistorisches Museum in Vienna is mounting the largest ever exhibition devoted to Pieter Bruegel the Elder, uniting more than three-quarters of the artist’s surviving paintings and presenting the results of important research into his working methods. The father of a painting dynasty, Bruegel is loved around the world for his detailed paintings of peasant life, landscapes and Biblical scenes. Yet previous attempts to stage exhibitions of his output have failed—mainly because of the fragility and value of the surviving works, says Sabine Pénot, one of the show’s four curators. The exhibition, which marks the 450th anniversary of the artist’s death, includes loans from major museums across Europe. “Many of them are being sent abroad for the first time in centuries,” Pénot says, noting that some of the works have been restored especially for the show. Around 30 paintings and 60 drawings will be displayed. 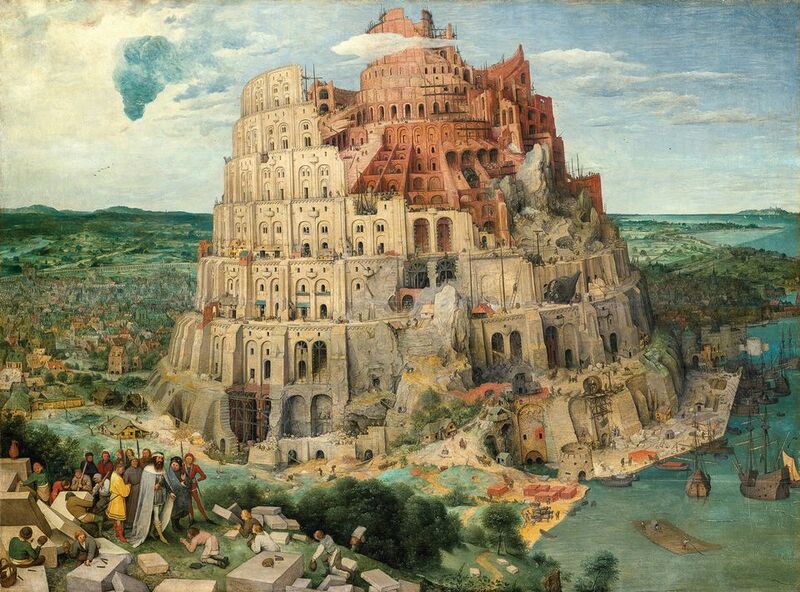 Two paintings of the Tower of Babel, one from the Museum Boijmans Van Beuningen in Rotterdam and one from the Kunsthistorisches Museum’s own collection, will be reunited for the first time. Other highlights include The Adoration of the Magi in the Snow (1563) from Am Römerholz in Winterthur, and two paintings that have been restored for the exhibition: Dulle Griet (around 1562) from Antwerp’s Museum Mayer van den Bergh and the Triumph of Death (1562-63) from the Museo Nacional del Prado in Madrid. "Many of the works are being sent abroad for the first time in centuries"
Little is known about Bruegel’s life. He was born between 1525 and 1530 in Antwerp and probably trained in the studio of Pieter Coecke van Aelst, whose daughter he later married. He is known to have travelled to Italy before the births of his sons, Pieter and Jan, in 1564 and 1568 respectively. 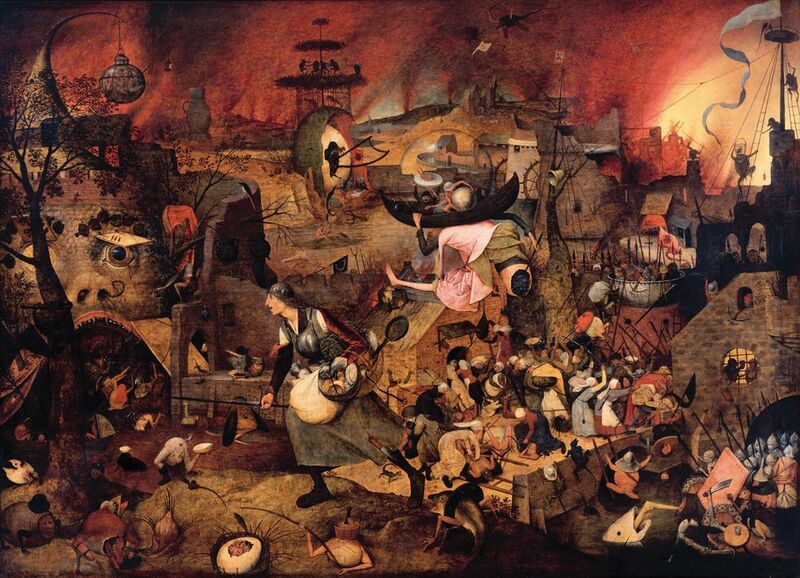 Although Bruegel was popular in the 17th century, he fell into obscurity before being rediscovered in the late 19th century. Not all of his output has survived. Some of his works on cloth were too delicate to weather the decades; other paintings disappeared and are known only from copies. Thanks to the enthusiasm of Habsburg collectors in the 17th century, the Kunsthistorisches Museum has the world’s largest collection of paintings by Bruegel the Elder. But an attempt to stage an exhibition of original works in Vienna and Brussels 50 years ago failed, because lenders were not prepared to relinquish their priceless paintings. Infrared and X-ray analysis of the 12 paintings in the Kunsthistorisches Museum—which span the artist’s career—revealed extensive underdrawing and provided insights into how the artist’s technique developed, Pénot says. “In his early career, he drew very precisely and his paintwork was very faithful to the drawing,” she says. “In the later works, he no longer stuck slavishly to the underdrawing but became much freer.” In Vienna’s Tower of Babel, for instance, not all of the figures in the underdrawing were recreated in paint. The research findings will be published online (insidebruegel.net) when the show opens, and a symposium due to take place in Vienna in December will bring together experts on Bruegel to discuss the artist’s methods. One of the aims of the research project, Pénot says, is to produce the first Bruegel the Elder catalogue raisonné. The main sponsor of the exhibition is Flanders State of the Art.